Art Deco is the newest up and coming wedding trend. This is easily seen in this season’s top styles. Head to toe sparkles, heavy beading and sequins are inspired from 1920’s Hollywood Glam. This season’s brides have more than just white or ivory to choose from. Colors of gold and champagne are being used not only in the fabric of the dresses but in the embroidery and beading as well. Capturing the 1920’s essence of fun and fierce fashion, the fall 2013 collections have many designs with bold abstract lace patterns. The designs are still very bridal, just not as traditional as we’ve seen in seasons past. 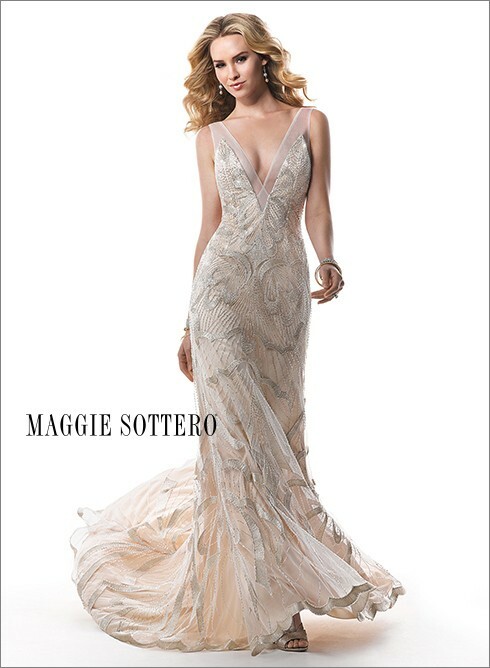 Higher necklines and back-lines are seen adorned with glitzy beading and sequin work. This season, designers played with the modesty trend. Brides now have a little more choice when it comes to the neckline on their dress. 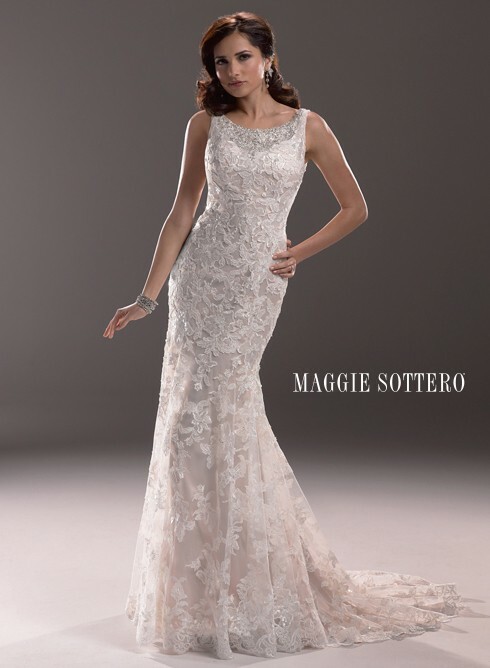 This entry was posted in Gown Shopping, Newly Engaged, Planning, Wedding Attire and Fashion and tagged Bridal Shop, Brides, Dress, Feeling good, Ideas, Looking your best, Maggie Sottero, Planning, Preparing for the big day!, Wedding, Wedding Dress/Gown, wedding gown by Affairs by Brittany. Bookmark the permalink.